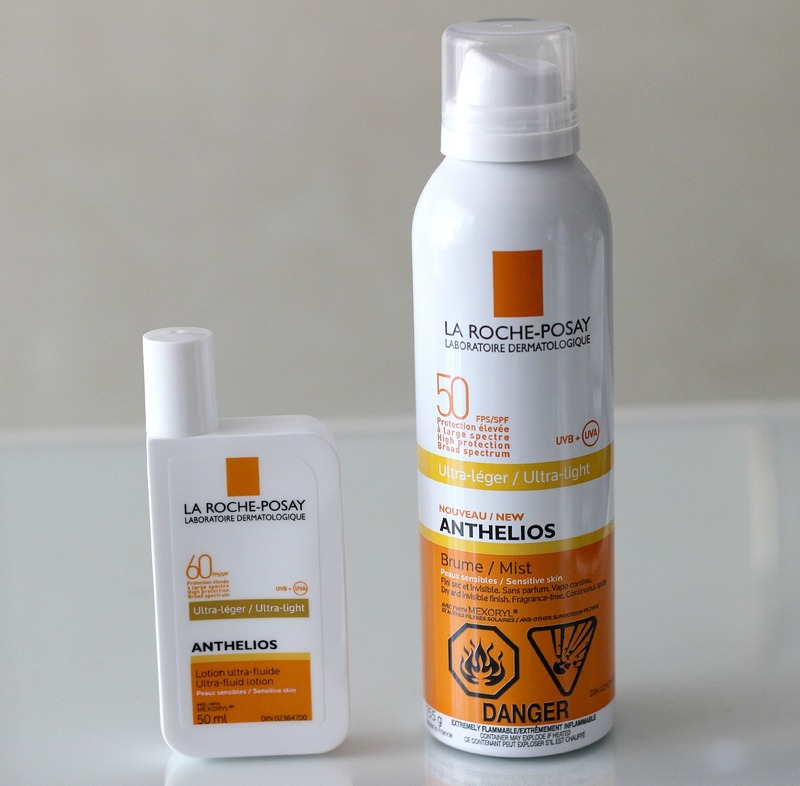 NEW La Roche-Posay Anthelios Mist SPF 50 and Ultra-Fluid Lotion SPF 60 | Stay Protected This Summer! The sun is out, the weather is warming up and I'm spending a lot more time outdoors! From gardening and mowing the lawn, to long walks in my neighbourhood and hiking up Mont-Royal, to simply sitting by the pool enjoying a nice read, I've been making the best of it. Summer is by far my favourite season - while for many Montrealers the heat and humidity becomes unbearable, I could not be happier and absolutely love it. Fun fact: I don't even have A/C in my house - open windows and jumping in the pool to cool down is how I roll! With this more active lifestyle, I've been making sure to protect my skin whenever I'm outside. This summer, the NEW La Roche-Posay Anthelios Mist SPF 50* and Ultra-Fluid Lotion SPF 60* are what I'll be reaching for to stay protected. 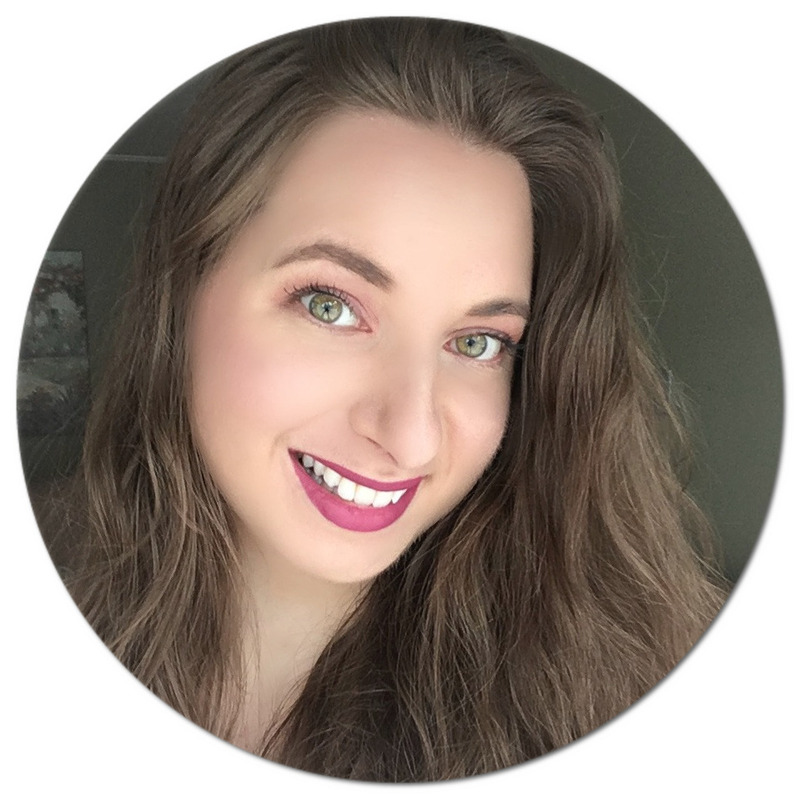 The Ultra-Fluid Lotion with SPF 60 has been my go-to face lotion ever since I got it last year (reviewed here). As will all products in the Anthelios range, this one is suitable for those with sensitive skin since it is perfume and paraben free. Recognized by dermatologists, it effectively helps prevent sun burn by providing very high, broad spectrum protection to block harmful UVA and UVB rays. It looks a little different this time around, doesn't it? 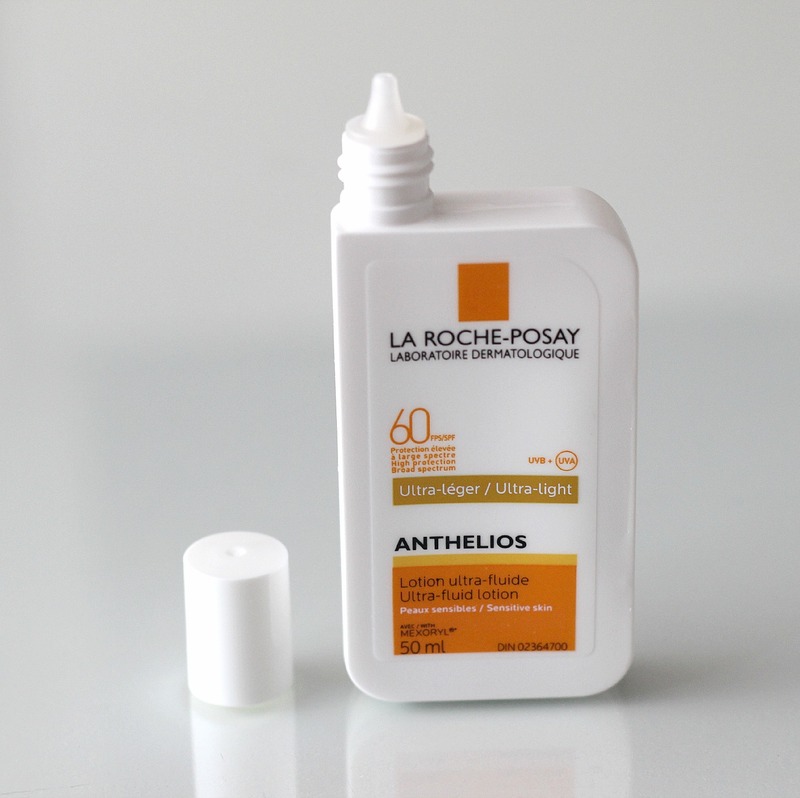 La Roche-Posay just recently repackaged it into this tiny compact bottle. I'm really digging the new look! I know I will also be taking it with me on my travels as I did last year (see my travel makeup bag). For an in-depth review on this lotion, check out my original post! Did you know that 90% of skin cancers are curable if detected in time (source)? 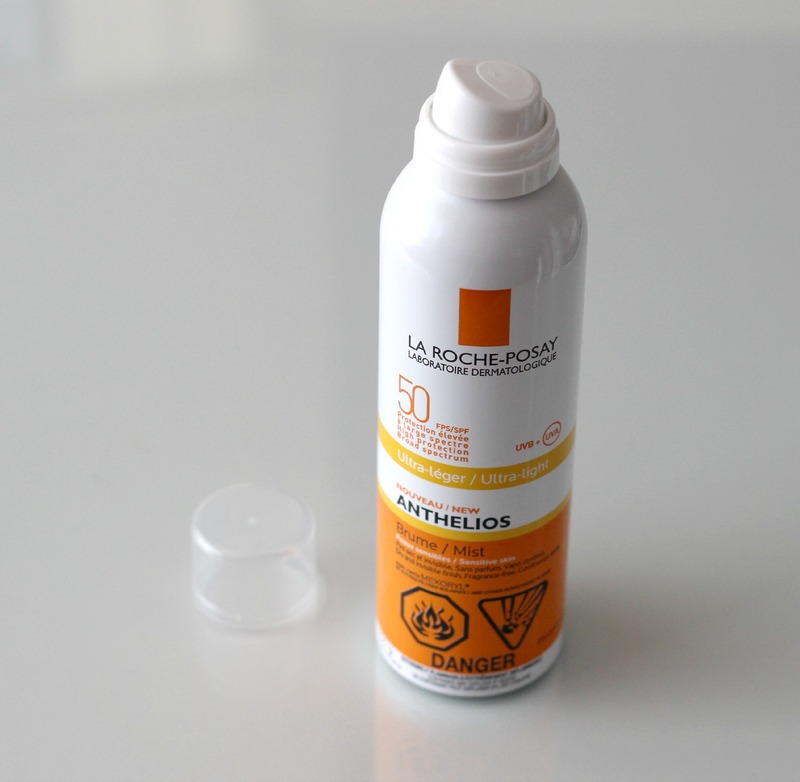 You can read more about La Roche-Posay's Skin Checker campaign on skin cancer prevention here. It's a beautiful sunny day, so I'm heading out the door to make the best of it. But first - off to get my protection on! What is your favourite sun protection product? Have you tried sunscreen mists? *Products were provided and reviewed in accordance with my Disclosure Policy. I've been using Nivea sun creams for years and I'm really curious about this because I've read so many great reviews about this brand! It's a bit expensive, but again, it's s sun protection product so it's totally worth the money spent. I've never tried sunscreen mists, it looks great! Love the dry finish effect, most of the creams leave you with that greasy feeling. I have never tried sunscreen mists. My favourite sun protection product at the moment is Isehan Sunkiller Perfect Water Essence. Los really like a great sun protection. This is so perfect for the summer season! This is revolutionary to me! I hate, hate, hate applying sunscreen because I loathe that heavy, suffocating feeling on my skin. I'm definitely giving this product a try because I really need to start using sunscreen, lol. Thank you so much for sharing this! Awesome mist that is for sensitive skin and leaves no greasy feeling after applied. Got to try this, a summer must have for sure. I've heard great things about this brand but never actually tried it. I think this is the icing on the cake, time to give in and buy it! gonna try this- living in Arizona this is a must have! This looks like a nice product. I have to keep an spf since I live in Texas and burn very easily. It makes it better that it's a moisturizer. Thank you so much for this review. I've been looking for reviews on the new face mist everywhere. I also prefer to apply mists to my hands first, then my face, but I never see anyone else say that they apply the product this way. Can you tell me what you think about the scent/fragrance? Is it strong? Does it wear off quickly? Thanks!